The choice to dine at The Sleeping Rhino was purely for its name, for it intrigues me enough. I wished there was a fanciful story – there’s wasn’t. T.S.R is a new casual bistro-styled restaurant at The Klapsons boutique hotel replacing Lucas, previously higher-end in its concept. 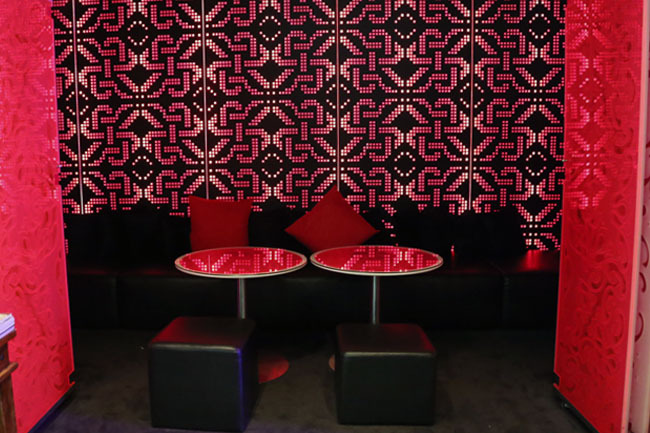 Generally the vibes are good – the entrance is flushed with a bright purple hue, with lounge music and an urban-chic décor which reminds me of some of the cool-looking restaurants I have seen in Bangkok. Price is slightly on the high side. 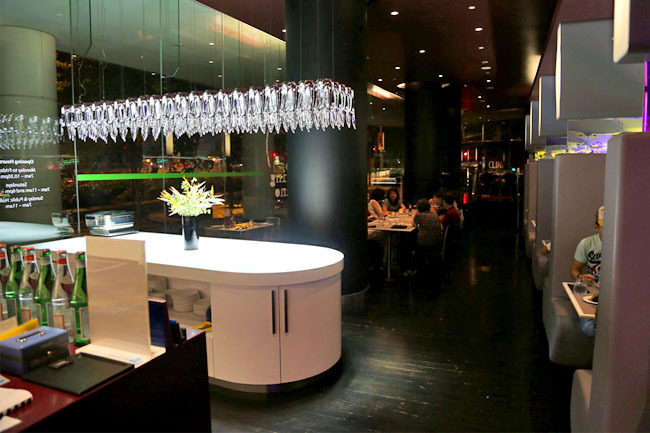 The mains such as Crispy Duck Confit ($32), Double-Cooked Pork Rib ($28.50), New York Striploin ($28), Blackened Snapper ($26), Arboria Risotto ($20.50) to the local dishes such as Claypot Herbal Chicken ($23), Lobster Hor Fun ($32) are all above $20. The less pricey items are the Classic Fish and Chips ($18.5) and Yang Chow Fried Rice ($17.50), though still a few dollars more than I wished to pay. Fortunately, I had the Palate Card which offered a 50% discount for two so it did not feel like a huge pinch. There was no indication on The Sleeping Rhino’s menu which were the recommended items so I asked the service staff, “Our signatures depends on what you like to eat. They are all good.” He was at least trying hard. For starters, we had the Crispy Chicken Wings ($13), the way it was cooked reminded me of the local ‘har cheong gai’, and it came with quite a tasty and addictive onion sambal chill. Great stuff. 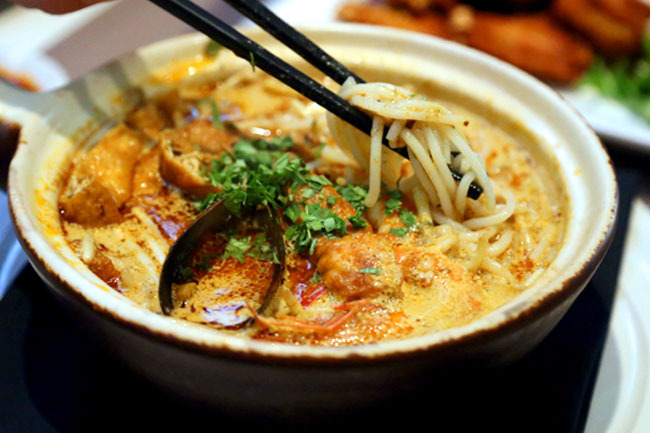 The Claypot Laksa ($18) felt disappointing on the first few bites, perhaps not in line with what was expected. While pot was very fragrant, the gravy was not ‘lemak’ (coconut-y) enough and felt too thin, as though the X-factor is missing from the pot. At least there were generous portions of mussels and prawns, and the flavours gradually grow on you. 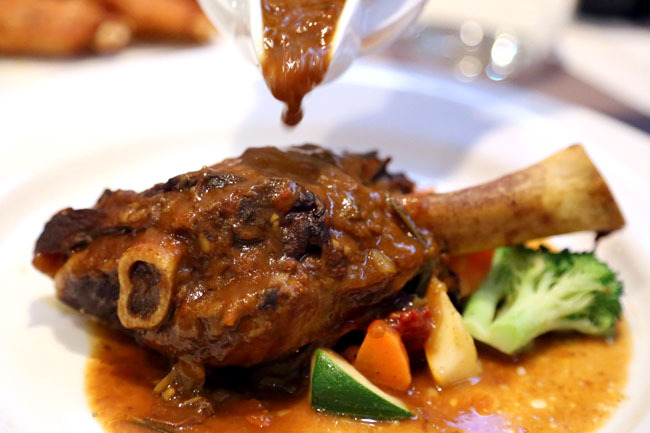 The Slow-Roasted Lamb Shank ($28) with couscous and seasonal vegetables was decent, cooked until they are almost-fall-apart tender, complimented by its rich sauce poured over. When you remember a restaurant for its catchy name more than its food, then they probably got something to worry about. 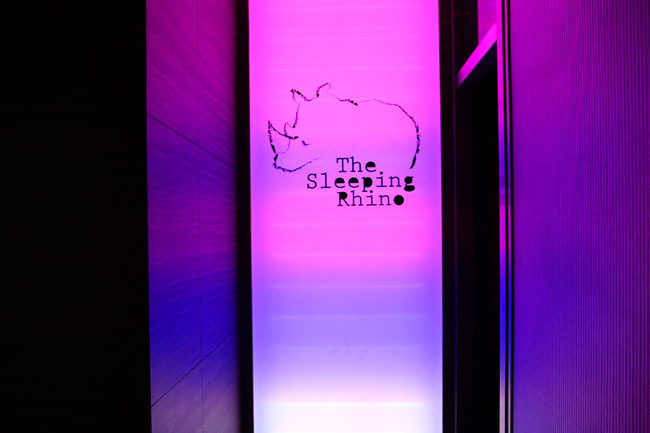 The Sleeping Rhino has great vibes in a cool way, though the lack of some distinct signatures, matched with its slightly steep price may keep this rhino asleep. So anybody can make a good guess why the rhino is still sleeping? Went last year during restaurant week and wasn't impressed. 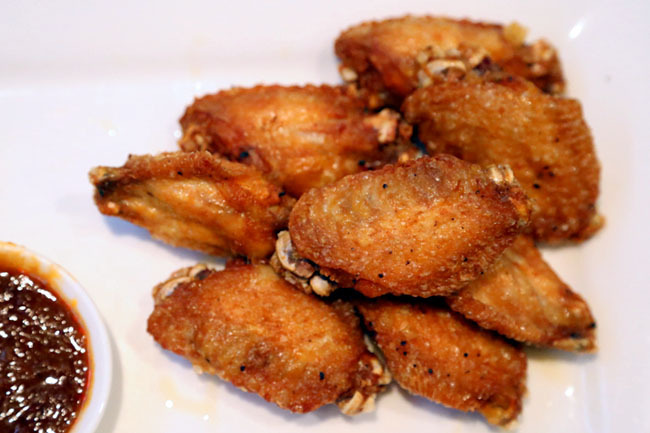 But the chicken wings looks good!